FULLERTON, CA (Feb. 4, 2010) – Yokohama Tire Corporation is expanding its off-road activities, becoming an associate sponsor of the eight-weekend 2010 Lucas Oil Off-Road Series. The one-year sponsorship agreement includes track signage and a space in the vendor/pit area. the Midwest tradition of short-course off-road racing with a West Coast influence and features seven classes: Unlimited 4, Unlimited 2, Unlimited Lite, Super Lite, Unlimited Buggy, Limited Buggy and Kart. The season is eight weekends and features two races per day each weekend. There is a 15-race points championship battle and the final day is the Challenge Cup Shootout. 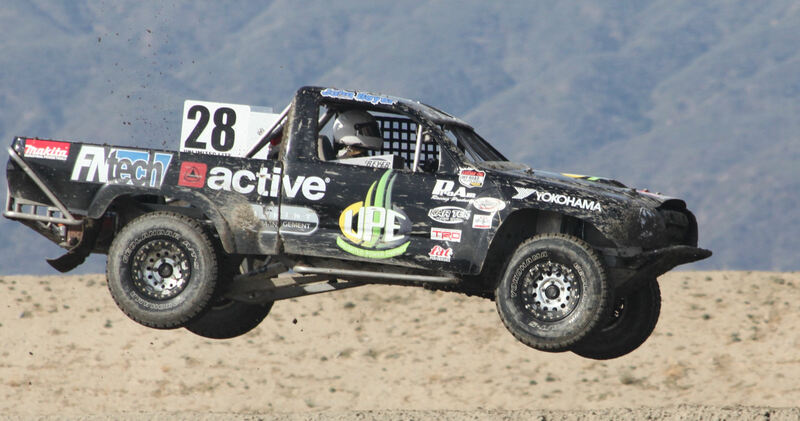 The season kicks off March 6-7 at the Lake Elsinore Motorsports Complex, Lake Elsinore, California. “We are proud that Yokohama has chosen the Lucas Oil Off-Road Racing Series as the venue to renew their presence in short-course off-road racing. We value the commitment they are making to the series and our race teams,” stated Bob Patison, Lucas Oil Products executive vice president. The last time Yokohama was involved with short-course racing was with the Mickey Thompson Stadium Series from 1989-1994. In Lucas Off-Road, Yokohama-sponsored racers will compete in the Unlimited Lite, Unlimited Buggy and Limited Buggy classes, where the drivers will use off-the-shelf Geolandar® tires.